In Kids Cooking lessons today we are going to start making side dishes and salads. Choose several different side dish or salad recipes you can learn. Try green salad, pasta salad, bean salad, or a vegetable side dish cooked in the oven. We have a few examples for you if you need some. Preheat oven to 500 degrees. Wash and drain broccoli. Pat dry. Cut into florets. 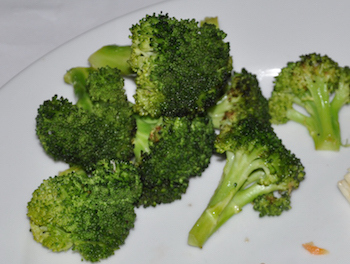 In a large bowl, toss the broccoli with the oil and salt and pepper to taste. Arrange florets in a single layer on a baking sheet and roast, turning once, for 12 minutes, or until just tender. In saucepan, combine all ingredients and bring to a boil. Reduce heat and simmer uncovered for 6-8 minutes. Variation of this recipe: use 1 package cream cheese instead of half and half. Put all into a bowl. Toss together. In frying pan brown 3 Cups of rice in 1 Tablespoon butter and 2 Tablespoons oil. Add in chopped onions or celery** if using. Brown until rice is glassy looking. Add 3 Cups of water or chicken broth to the rice. Cover and cook 20 minutes or until rice is tender. You can sauté 1 Cup chopped onions and/or 1 Cup chopped celery with the butter and oil. Keep experimenting, learning and creating side dishes, vegetable dishes and salads. 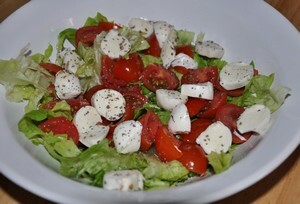 Looking for more side dish and salad recipes for kids cooking lessons? Visit our Easy Kids Meals-side dishes. Learn more about cooking vegetables.